You want to give yourself the best chance of winning at an Online Casino and choosing a casino with a high payout percentage is one of the factors you should look at before registering. In this article we’ll be looking at the top 5 online casinos which have the highest payout percentage. We’ll also cover common questions such as ‘What is payout percentage?’ and ‘What casino games have the highest payout percentage?’. A payout percentage is the % of funds given back to the players of any given casino game or casino as a whole. Payout percentages are also known as RTP, which stands for ‘Return to Player’. Lets take a look at an example of a slot payout percentage to explain things further. Lets say the online slot ‘Frankie Dettori’s Magic Seven’ has a payout percentage of 98%. This means that for every $100 the slot takes in, it will pay out $98 to the players. The remaining $2 will be kept by the casino. The percentage which is kept by the casino, which in this case is 2%, is known as the ‘house edge’. Now, although the casino has a house edge of 2% and will keep $2 of every $100 put into the slot, it doesn’t mean that players can’t win. The slot will not pay out exactly $98 after $100 is fed into it. It may pay out $5,000 or it may pay out $5. Over the lifespan of the online slot however, it will pay out 98% of the amount that is put into it. What is a good payout percentage? Payout percentages vary between games and online casinos as a whole. Any percentage around 95% is considered good for a casino but some casinos do pay out at just over 98%. Check out the casinos we’ve listed below for the current top 5 casinos with highest payout percentages. For games, table games usually have the highest payout percentage and the lowest house edge. Blackjack for example usually has a house edge of only around 1%. Online slots payout percentage vary depending on the software developer and the game itself. Some Microgaming slots have payout percentages of over 98% which may be why all 5 of the online casinos with highest payout percentages listed below are powered by Microgaming software for their games. What Online Casinos have the Highest Payout Percentages? Crazy Vegas is one of Australia’s most popular online casinos and boasts a payout percentage of 98.65% averaged across all of their games. They have been online since 2001 and have seen a steady growth with players worldwide. Unfortunately they don’t accept players from United States, South Africa, Spain, France, Belgium, United Kingdom, Denmark, Greece or Italy but don’t worry if you’re from one of those countries, we have many more high paying casinos to show you. Their games are powered by the popular Microgaming software and there are over 600 of them to choose from! Including over 400 slots. The Crazy Vegas new player bonus is a 100% first deposit bonus up to $/€500 + 30 free spins on the Game of Thrones Slot which has a payout percentage of 95%-96%. Jackpot City has been online since 1998 and so have almost 20 years experience in online gaming. Similar to Crazy Vegas, their casino games are powered by Microgaming and host over 400 quality games. Their payout percentage is an impressive 98.60%, making them the second highest paying out online casino. Jackpot City have a great loyalty program, allowing players to accrue points with every game they play which can be exchanged for cash bonuses. Their welcome offer for new players is a 100% match bonus on your first four deposits. Each with a maximum $400, totaling a nice $1,600. Online since 2000, Royal Vegas Casino is one of the leading online casinos powered by Microgaming software. They narrowly miss out on 2nd spot for ‘the top 5 casinos with the highest payout percentage’ by just 0.01% but still dish out an impressive 98.59% back to players. There are over 500 games to choose from including all the usual slick Microgaming slots and table games. They have a good rewards program and offer regular bonuses and promotions to existing players. 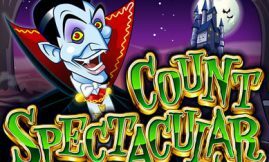 The Royal Vegas Casino sign up bonus is split over your first three deposits and totals a $/€1,200 bonus as well as 120 free spins. Platinum Play Casino is part of the Fortune Lounge group of online casinos which also include popular choices such as Royal Vegas, 7 Sultans, Vegas Palms and Vegas Villa. They advertise a great average payout percentage of 98.58% which takes 4th spot on our list. Platinum Play have been online since 2004 and welcome new players with a $/€1,000 + 50 Free Spins signup bonus. All Slots Casino have been around since 2000 and are a popular go-to casino for online slots players. They host over 500 quality Microgaming casino games that are available on mobile, tablet and desktop. If you enjoy Microgaming slots then look no further than All Slots Casino. Sign up today and receive $/€1,600 in bonuses on your first 4 deposits. You may have noticed that non of the top 5 online casinos with the highest payout percentage accept players from USA. Not far down the list we found an excellent US-Friendly casino which we highly recommend. All Star Slots is one of our favorite US-friendly casinos. And with an average payout percentage of 98.45% they only just missed out for a place in our top 5. They have a great range of online slots as well as table games and video poker. New players will receive a HUGE 400% bonus on their first deposit up to a massive $4,000! 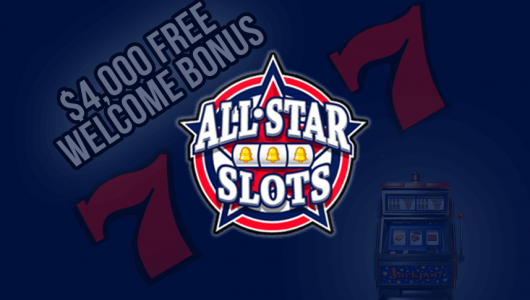 You can read our full review of All Star Slots here.